I have eaten these because the owner, Linda, does catering. They are amazing. And they look great too. Different from the usual cupcake. I was referred to My Sweet Cupcake through a friend and am so glad that I have them in my contact list now. The cupcakes were beyond delicious and I will certainly use them for all of my functions. Can't wait for the shop to open up on Mission Street in South Pasadena. 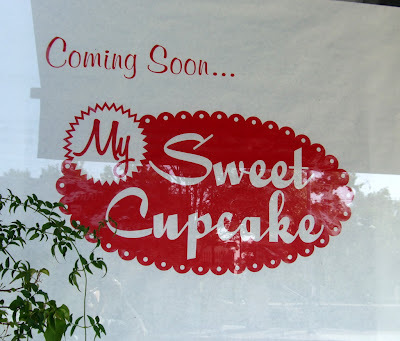 I'm really excited to hear Denise and Linda are finaling launching their business, My Sweet Cupcake. Their cupcakes are truly the best I have ever had. They did cupcakes for my daughter's birthday, my girlfriends's wedding shower, and a couple work functions. They are great! I'm so glad! My Sweet Cupcake are the best cupcakes I have ever eaten. They are so delicious. I have hired them for several events: my daughter's birthday, my girlfriend's bridal shower and a couple work functions. Each time they were fabulous! I now have another excuse to go to South Pas. I've had them: Heaven in a paper wrapper! I've had them: Heaven in a paper wrapper! Amazingly delicious. "Great cupcakes, baby!" Hmm . . . last time I said that, I got slapped. But they ARE! My Sweet Cupckaes are simply the best cupcakes I have ever had. Really! OMG!!! Best cupcakes I have ever had... Cake is very moist icing is delicious! And there is a special treat in everyone!!! FILLING! The variety is unbelievable. Must try them. I have had the delicious pleasure of sampling many of these delectable cupcakes! They are the perfect size and are pretty much the "gold" standard for the best cupcakes in town. These cupcakes are works of art--beautiful to look at and they are absolutely delicious!